SDI and XLR are there as well. 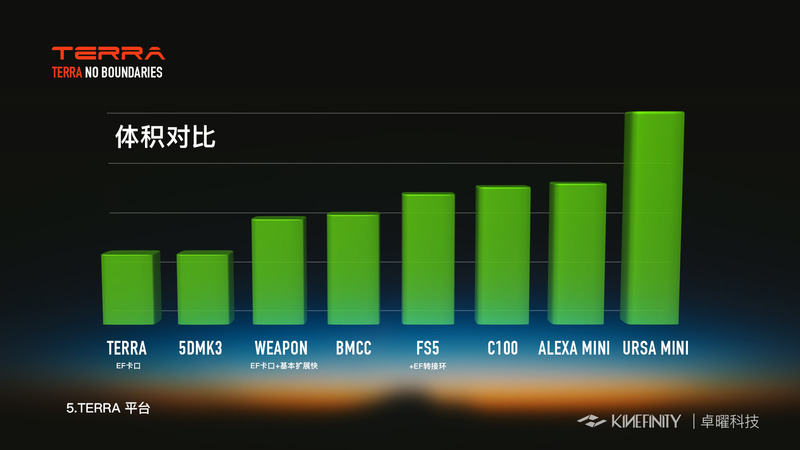 New KINIMON and KINEGRIP 2 has also been released (uses Sony BP-U30 instead of Nikon EN-EL15 batteries). 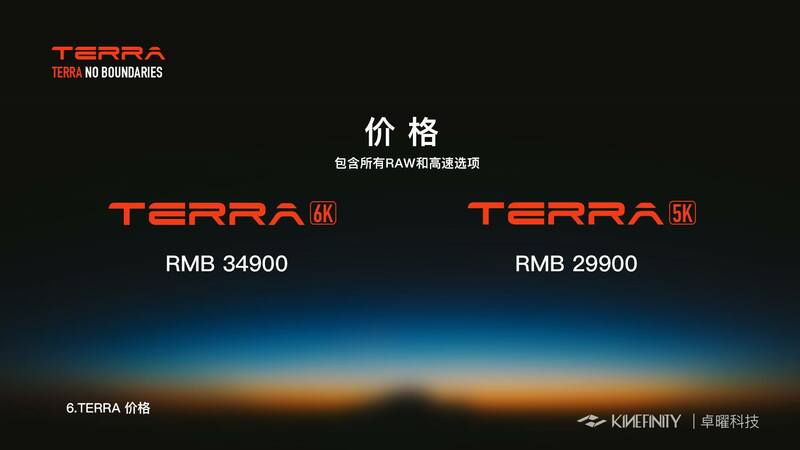 The 6K version costs slightly more (at around $5,400 US or 34,900 RMB on the Chinese mainland). It features 6K at up to 25fps, 4K at up to 100 fps and 2K at 225fps. KineFinity cameras can use standard off the shelf SSDs (like the BMPC4K does), so no need to waste your money on expensive MINI-MAGs like with RED cameras. 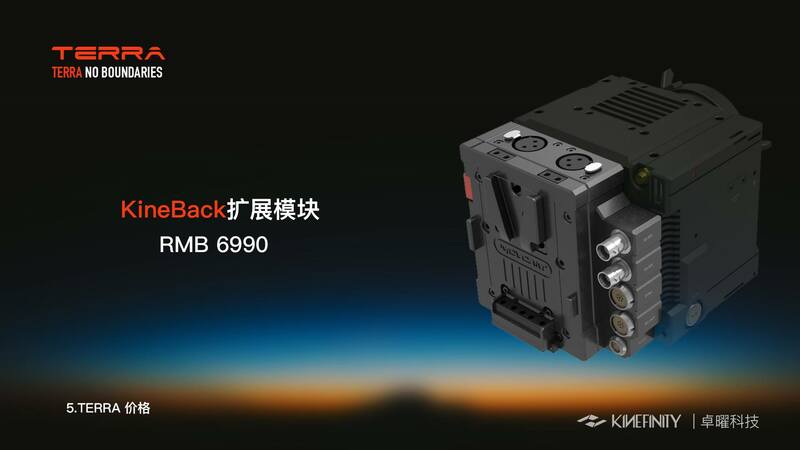 A person's view of its pricing can depend a lot on if you're looking at the perspective from BMD's cameras.... then KineFinity looks expensive! 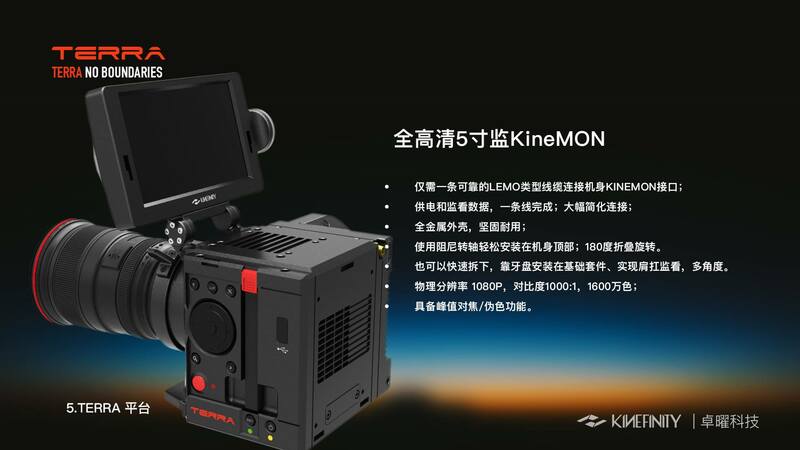 Or comparing it against the viewpoint coming from RED's cameras then KineFinity looks dirt cheap! As Scarlet-W base package with a few MINI-MAGS plus a PL mount and side handle, would cost roughly three times as much as the equivalent from KineFinity. This company keeps putting out well-spec'd cameras that never seem to become available.. It seems that their main target is internal market. For small firm it is enough. 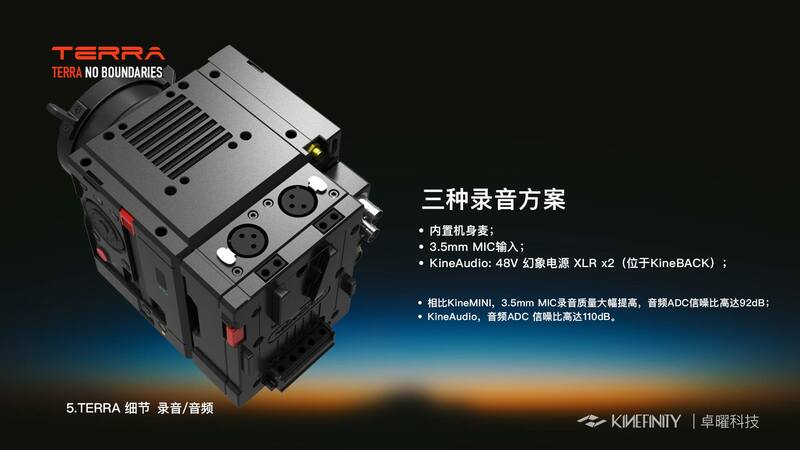 If you don’t factor in the price / support / brand name cred, then I’d go for a Kinefinity Terra 6K over URSA Mini 4.6K or RED Raven any day of the week. 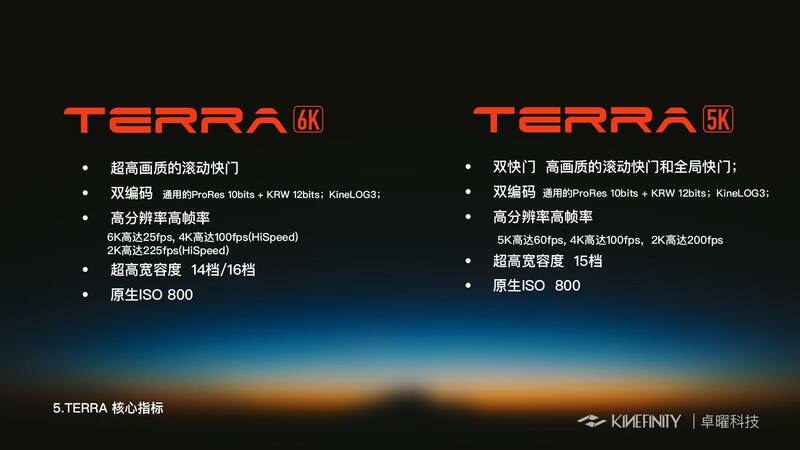 June shipping for the Terra 5K which has the new sensor in it. Should we assume the 6k is overall better than the 5k version? 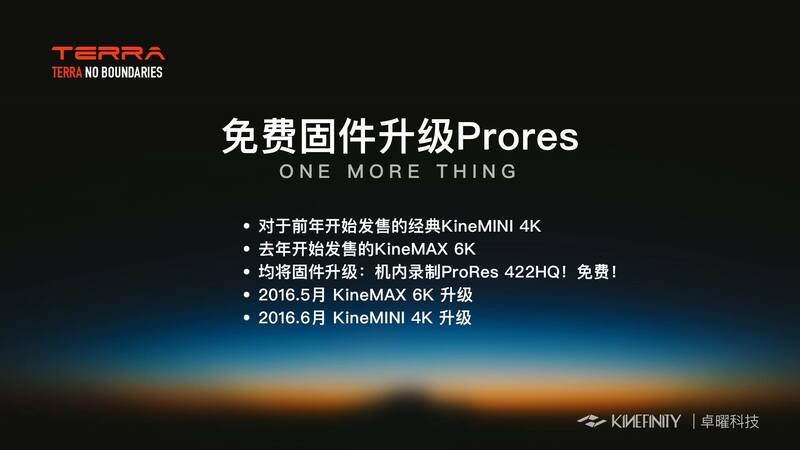 from specs seems like the 6k has better DR (1-2 stops?)? but no word on new sensor for the 5k yet I take it. @Xenocide38 close.... it is volume not weight. Why does the global shutter option have reduced dynamic range? With current CMOS technology dynamic range is always less for GS (if all other parameters are equal). An engineer told me it's the extra circuitry occupying some of the light sensitive area. An engineer told me it's the extra circuitry occupying some of the light sensitive area. It is different, in almost all modern sensors you do not have anything reducing light sensitive area. Sensors that have both rolling and global modes have different DR in this modes. DR is mostly related to reset and readout process as all other standard parts are same. Hope they get more sales in the US with those new cameras.. on paper they look promising, but I think Blackmagic will dominate the $5K market which will make it very difficult for them. @Vitaliy_Kiselev Do you have a link to something that explains this in detail? Im interested in learning more about it. Do you have a link to something that explains this in detail? I do not remember specific links, you can look papers on sensors design and global shutter in specifics. Is by any chance KineMount an open mount like say Micro Four Thirds is? I am guessing it is not. There is a thread over on BMCuser about possible interchangeable mounts for BMD cameras. Got me thinking that the absolute best result would be if BMD adopted the FZ mount in future cameras. FZ mount is what is used in the Sony F3/F5/F55, which I've used and is an absolutely wonderful mount! You can adapt it to anything else, for instance I've got a rock solid Nikon F mount on my Sony PMW-F3. So it works, and FZ is an already popular mount used by many. But Sony will never let BMD use FZ mount. 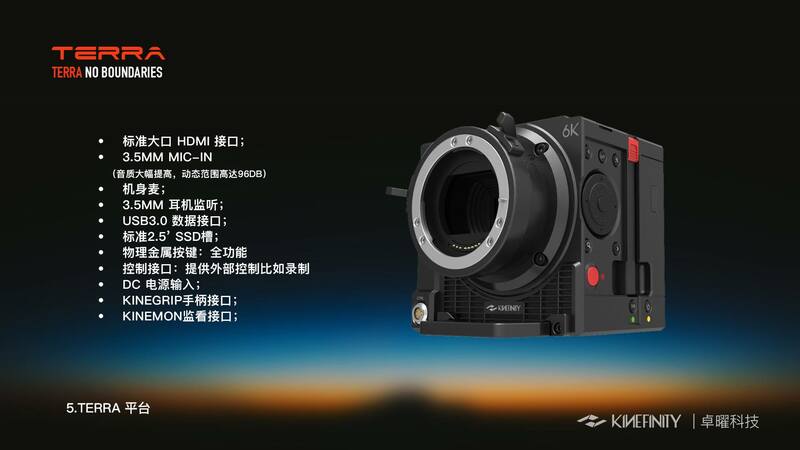 Thus the very nearly almost as good option is to talk with Kinefinity and see if they'd open up KineMount for everybody to use (in many ways KineMount is like Sony FZ mount, and kinda better... as Kinefinity have a focal reducer option! Yay). As if that happened it would be tremendously good news for both companies, and a massive result to help the indy / hobbyist / low / medium budget film industry. 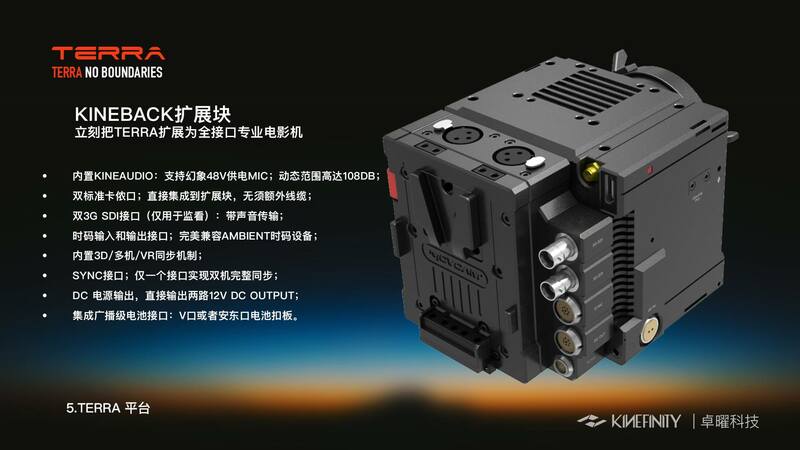 Be great if Kinefinity and BMD could talk together with each other to create a universal mount system which can go onto dominate the film industry in the future. Contact them and ask for payment. At least ask for test camera, tell them that you will make review for PV.